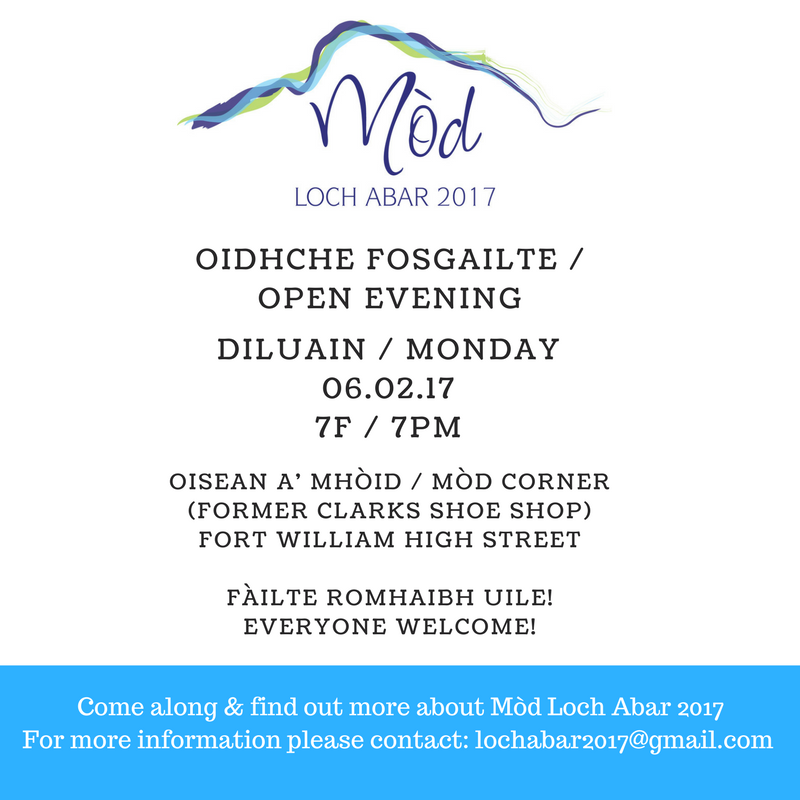 The Lochaber LOC are holding an Open Evening on Monday 6th February at 7pm at the ‘Mòd Corner’ which is located in the Buzz Project’s premises on Fort William High Street (former Clarks Shoe Shop). There will be information on: what is the Royal National Mòd, the economic benefit to the area & how you can be involved prior to or during the event in October. If you have any questions send them a message via Facebook or e-mail lochabar2017@gmail.com.